Another must-try product from Physician Formula! I was really happy that this Mineral Wear Talc-Free All-in-1 ABC Cushion Foundation was finally here at Malaysia. I watch and read some of the reviews about how good the product is. Not only that I fall in love with its packaging when I first saw this product!! Since I am a huge fan of Cushion Foundation, I would love to own this and give this product a try! I did take a lot of photos of this Cushion Foundation because of its super duper cute blue packaging. So please bear with me. 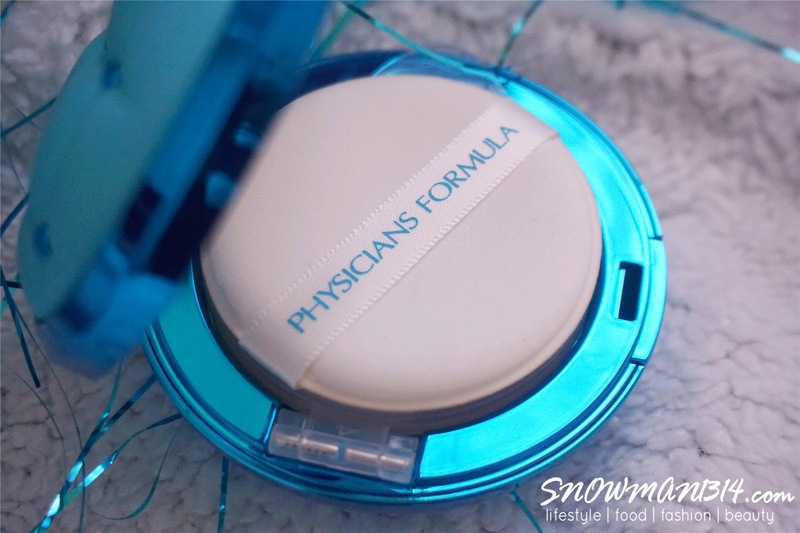 If you girls have been using Physician Formula products before, you will know that they have a lot of products with really cute packaging too! When I first receive this, I was so overwhelmed with how adorable their design are. 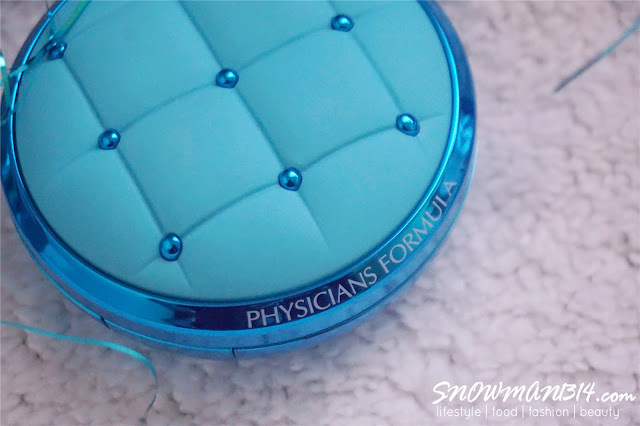 With beautiful blue color packaging and blue beads on the cover, and Physicians Formula word around the cover cap. Inside design package. 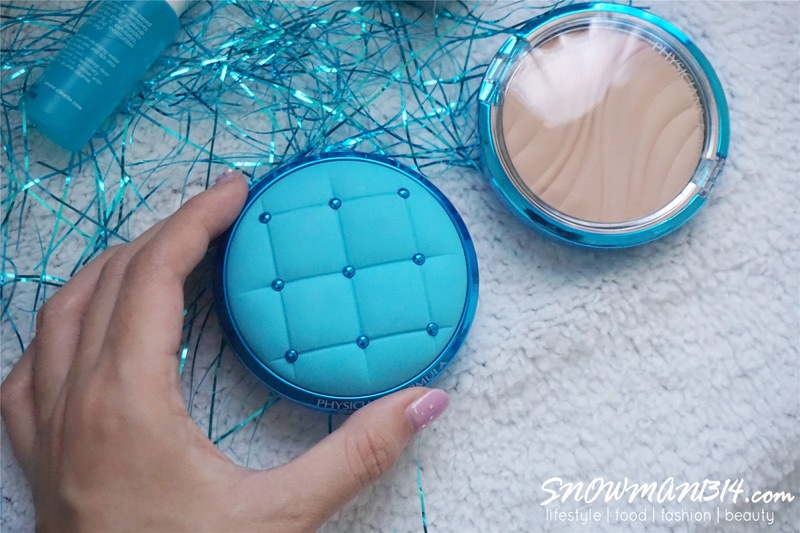 As usual, the cushion design with a puff, foundation cover, and sticker to seal the cushion foundation. Cushion Foundation and Cushion puff. 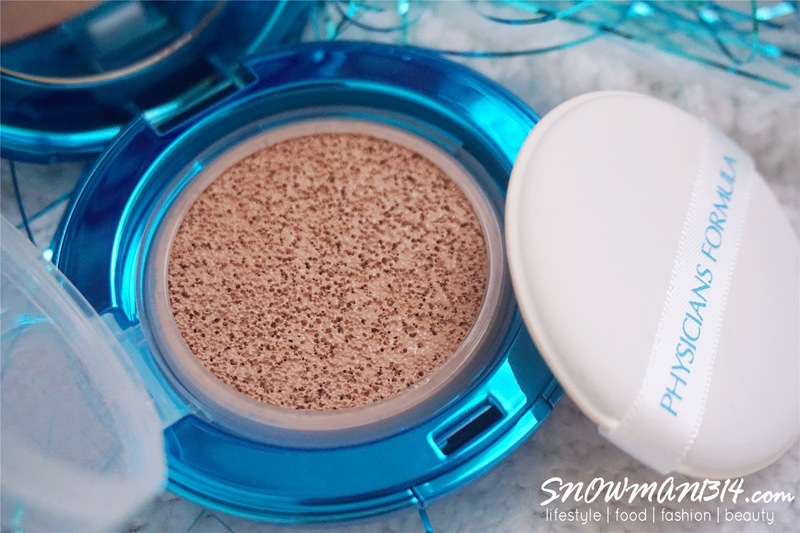 The first Ever Mineral ABC Cushion Foundation. It comes with a weightless mineral formula that provides all kind of multi-tasking benefits of an alphabet cream with the gentle, flawless, skin-perfecting effects of minerals. 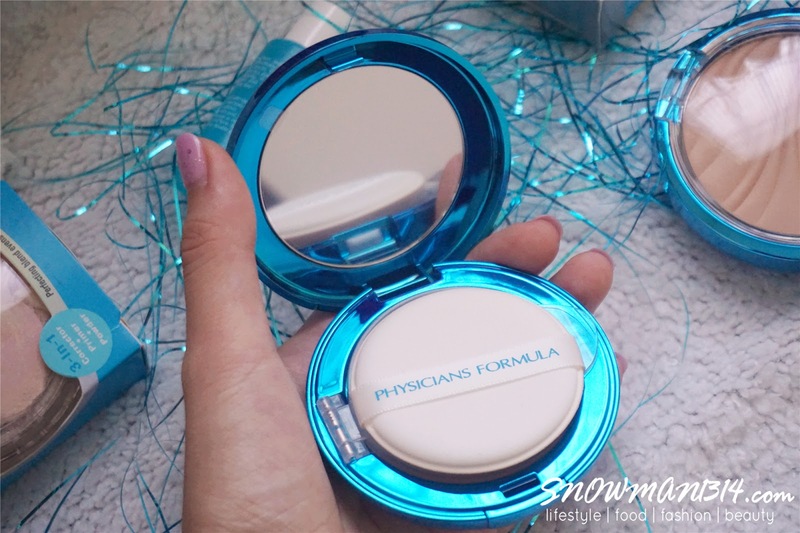 It claims to have this instantly and easily corrects visible imperfections, blur fine lines and pores with a perfect airbrushed finished on your face!! 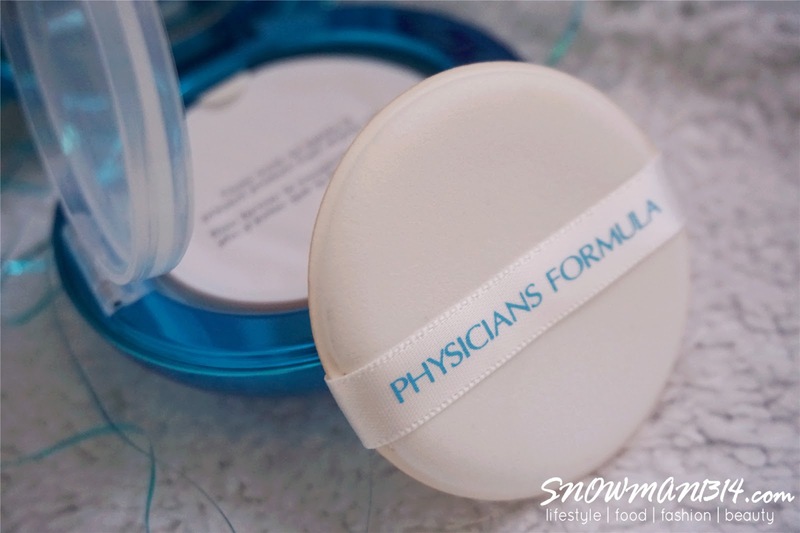 Not sure what you guys think of love to have SPF protection when you using cushion foundation because for me I love that it comes with SPF protection. Not only that we can build and cover our skin imperfection/uneven skin tone, our skin will also protect from UVA/UVB rays. ABC Cushion Technology, not only comes with SPF 50 Broad Spectrum Sunscreen with it's Ultra-fluid, the lightweight formula delivers an instant smoothing and firming effect, while hydrating skin for effortless perfection. I would love to also emphasize is their super soft cushion puff!! 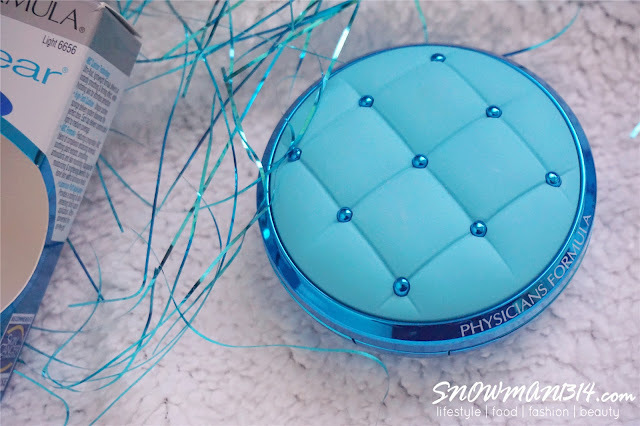 So it says to be as unique cushion sponge that delivery system dispenses the perfect dose on your skin. Compare to the puff I use from Laneige or any other brand, this cushion sponge is so spongy and smooth to apply on our skin. Which is unique cushion sponge tap on our face, you can easily build the customizable coverage you want. Top: Scars and Red line across my face. Bottom: Scars and face red line was faded. 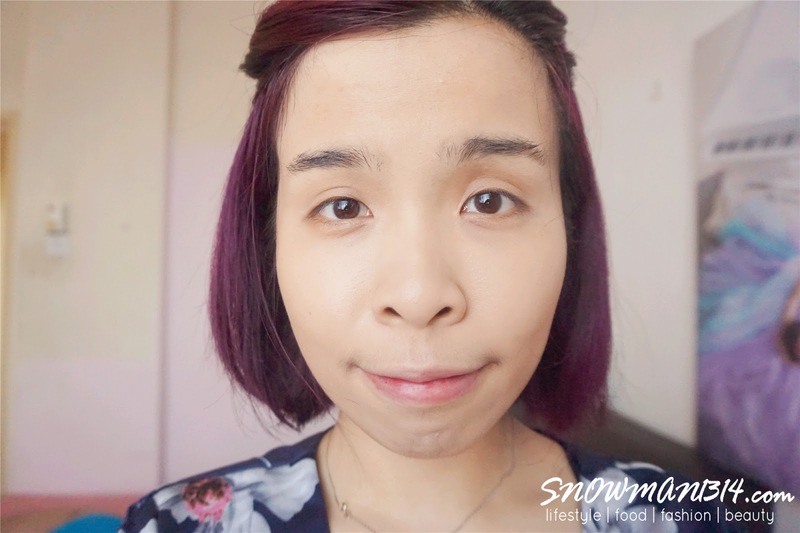 I don't always wear heavy coverage or makeup across my face, as long as the foundation was able to cover some minor red spot and acne scar. 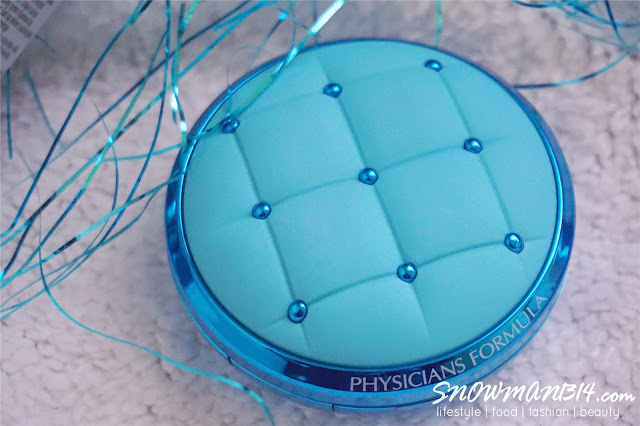 When I come across the review online, the coverage of this ABC Cushion Foundation was definitely appealing!! Overall verdict of the products was really good! I love the cushion sponge especially and every time I tap it on my face. I enjoy each tap and how the foundation applies so smoothly all over my face. It claims that we will have refreshing cooling effects after we apply, which I didn't really notice that cooling effects that much. About ABC technology, featuring a blend of complexion enhancing minerals, soothing plant extracts, soothing antioxidants and skin nourishing vitamins for moisturizing and brightening benefits that leave skin with a luminous finish. I definitely love the dewy and moisturizing effects on my face. 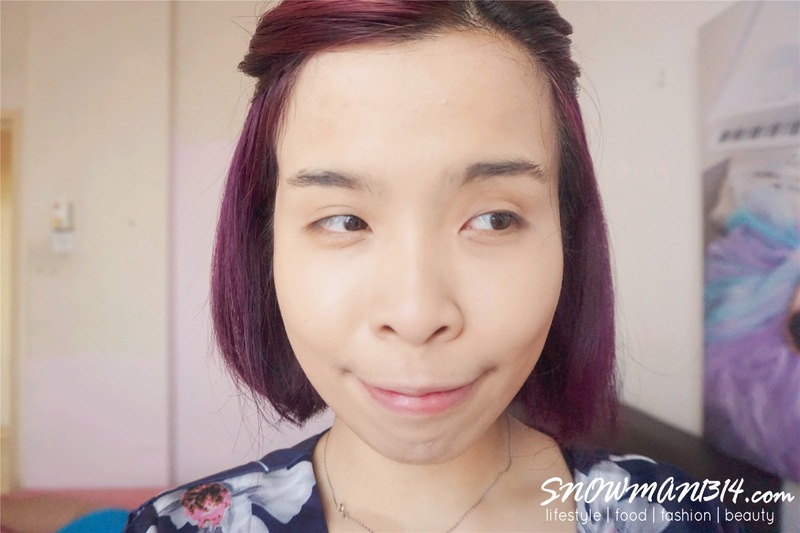 Even under air cond indoor room, my face powder does not crease around my laugh line and nose area. Is just smoothen out my laugh line too!! One of the cons is this Cushion only comes in 2 shades, which is light and medium shades. The one that I got is light shades, if you have more tanner skin you can always try out the medium shades to see which color suits your skin tone. This Mineral Wear Talc-Free All-in-1 ABC Cushion Foundation has been my holy grail since I start using it. You must definitely try it and you can get this product in any Watsons or Guardian outlet in Malaysia. I hope the price is reasonable. Gonna check it out soon as I love its coverage. Hands down on the packaging! I agree, super cute indeed. Impressed with the coverage too. 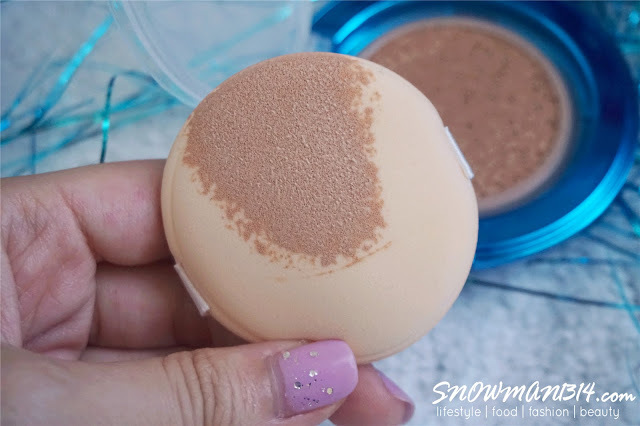 It is hard to find BB Cushion with high coverage like this. Oh my! I love the packaging! I have yet to try this one. Saw something similar with a few other brands too. Contemplating which one to go for! It was so cute isn't it!! I'd love to have this in my handbag as well. The packaging is really adorable, as you said. That was the right word to use! Yes it was =) It will be my favorite kinda makeup essential! Great coverage, I've been seeing this product reviews for a while but I've not seen them in stores, might wanna check it out soon. I think I need this to cover my acne scars. Will try it out. I tried this also and love the dewy, smooth and natural finishing. To me the shade suit my skin tone. It gives me a perfect coverage and texture is light. It looks dewy after applying and it looks great:) the coverage seems cool too! I will check this cushion. You need to buy it dear hahaha!